Three Glendale families found interesting missives in their mailboxes this week, and they weren’t no holiday wishes. 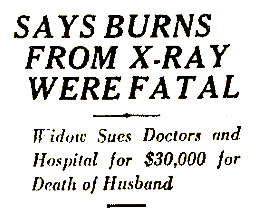 The Van Pelt family received a note reading: "You are to be killed tonight at 10pm sharp." 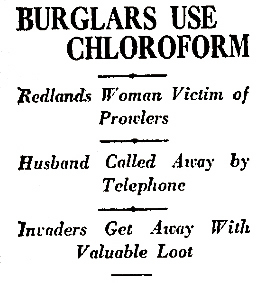 The Westons were warned, "Highway bandits will rob your house tonight." And then, the cryptic letter received by the Simingtons: "Beware of the goat. He is watching you." 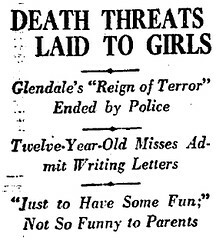 Today, Glendale police revealed that two bored 12-year-old girls named Dorothy Alman and May White were responsible for the threats which kept the neighborhood "on the verge of nervous spasms for several days." The two said they wrote the letters on a lark. 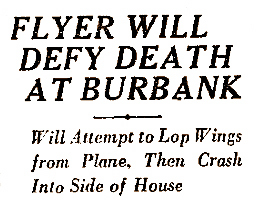 Today, these shenanigans would probably get a kid put on some kind of watch list, but in 1927, the preteen terrors were turned over to their folks. 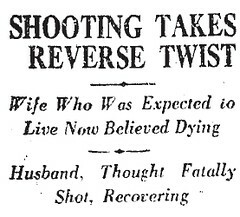 The detectives on the case didn’t report the particulars of how the girls’ parents responded to the news, but said that "it sounded like a-plenty."